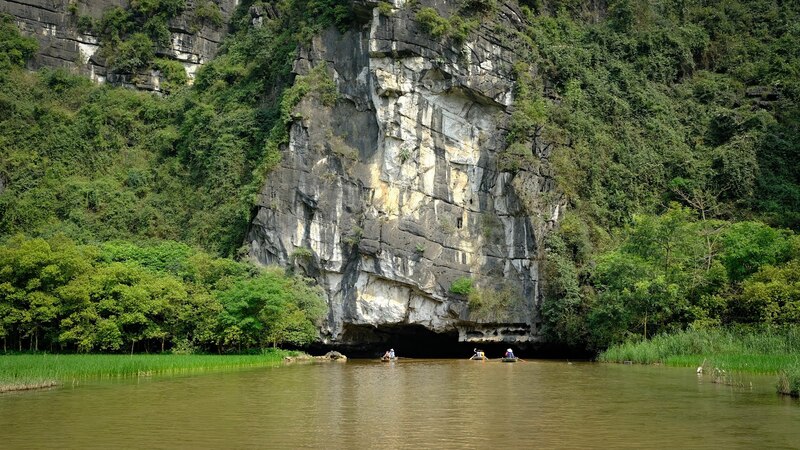 Tam Coc, we were told, translates as 'Three Caves'. This makes perfect sense. The tour took us down the very still waters of the river through three caves. No need to alert Trading Standards about any misleading literature regarding this tour. 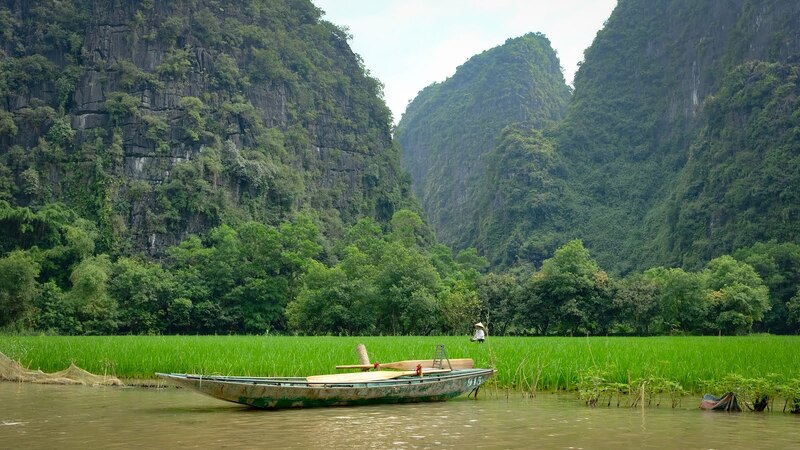 You could get to Hoa Lua by public transport and rent a boat and oarsman/woman yourself. But the tours are pretty competitively priced, so it didn't seem worth the agro of a do-it-yourself day out. 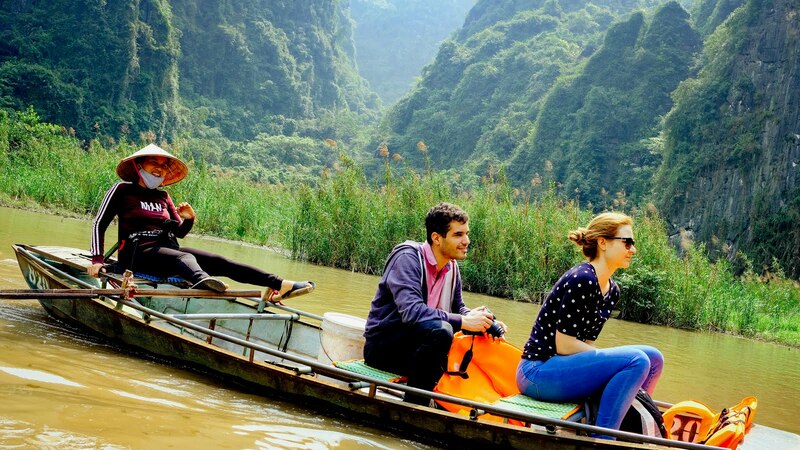 We paid about $38 each, which included the hour long drive down to Ninh Binh, a pretty decent buffet lunch, a visit to a temple and the main attraction - the boat ride. Do Mrs P and I have any regrets about our trip to Vietnam? 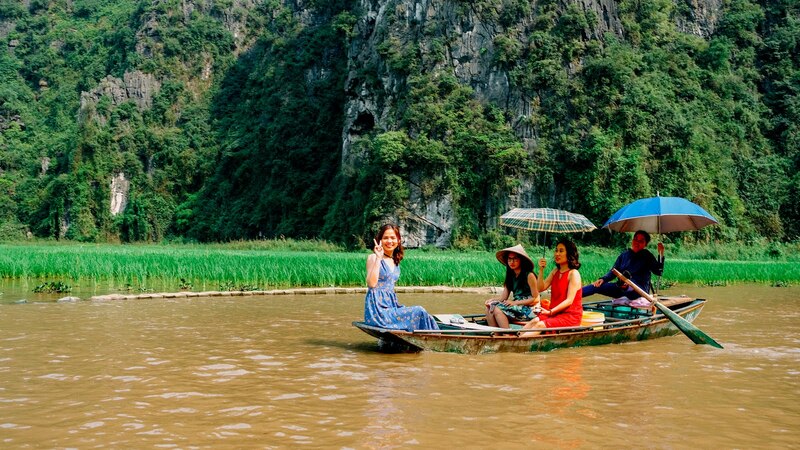 Yes, and it is here in Ninh Binh. The countryside is simply magnificent. We'd have loved to stay here a few days exploring. But time was limited and a two night cruise in Halong Bay beckoned. So a day trip had to suffice.